When working with images there is often a need search similar images larger or an online site where this image was published. 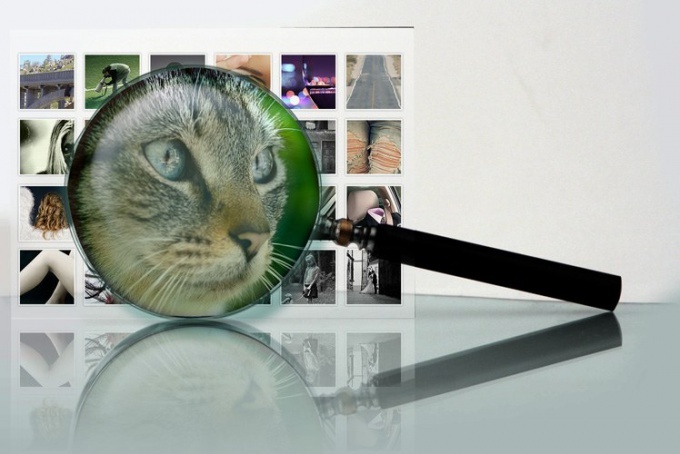 Using a sample of the photos saved on the computer, or the address loaded into the online image, it is possible to find a suitable image with the help of special Internet services. - the image file or image url. To search the image using the sample saved on your computer, open a browser and www.tineye.com. Using the "Browse" button located to the right of the field Upload your image, select the file you want to use as the pattern to search for. The "Open" button load picture. Samples for the search that can be TinEye must be saved to files in png, gif or jpeg. It is recommended to use images not size not less than three hundred pixels in either party. As a sample search you can use the photos on the website. To obtain this address, just click on the picture and select "image Properties" from the context menu. Paste the copied address in the Enter image address and click Search. By using this service you can find pictures that differ from the used sample size and color. The search results are images with added frames, labels, small parts. To compare images with the sample click on the labels of Compare, which can be seen under each of images found. Clicking the Switch button in the window that opens, you'll see a pattern. Using this button again will return you to the search result. Google also provides the ability to use file uploaded from the computer as the pattern to search for. Go to this search engine and select "Images". In the right side of the search bar you'll see "Search by image". However, for users of the Opera browser, this button may not be available. Clicking on the button "Search by image", you get the option to load a sample from your computer, using the option "Upload file". If the basis for the search is a picture found on the Internet, paste the address into the search bar. Users who prefer Firefox or Chrome, you can drag a sample from Windows Explorer in the search box with the mouse. Unlike TinEye, Google displays in the search results image having a similarity with the pattern, but not its copies. To see these images, it is sufficient to use the option "Similar", which can be seen in the left side of the page of search results.